Yet another new BackupAssist update this morning! While this one’s mainly tweaks and fixes, it does include a feature we’ve been asked for a lot by customers and will certainly be of interest if you run a version of Exchange on a Hyper-V guest. The Exchange Granular Restore console was released recently and enables users to connect to any Exchange database back up, even if it’s within an image and restore messages, mailboxes, calendars and contacts. Up until this release, doing that from a Hyper-V guest image (or VHD) was a clunky process. In this release it’s now possible to connect directly to that guest backup containing the image and do the same, provided you have the Hyper-V restore console and EGR add-on. 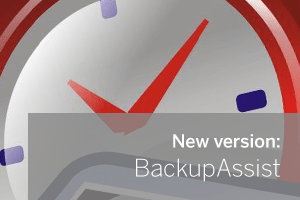 Pricing for the both BackupAssist and the Exchange Granular Restore Add-on are available here. ← Network shares stopped working in BackupAssist? It’s just a matter of time.